This elegant, precocious, surprisingly soft, up-front-styled St.-Emilion possesses a dark ruby/purple color as well as sweet aromas of menthol, fruitcake, cherries, and black currants. Round and medium-bodied with silky tannins and a sensual, evolved, precocious style, it can be enjoyed over the next 10-14 years. Drink 2009-2023. 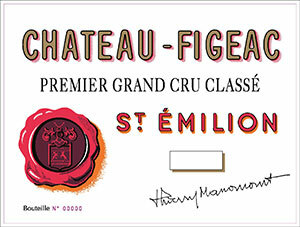 Tasted at Bordeaux Index's annual 10-Year On tasting in London and subsequently blind at Farr Vintners' tasting, the 2006 Château Figeac has an open-knit, meaty, Cabernet Franc-driven bouquet with hints of scorched earth and bell pepper infusing the black fruit, later cigar box and smoke. The palate is medium-bodied with grainy tannin, a little dryness in the mouth, certainly not a fruit-driven Figeac, although it is nicely balanced on the simple Cabernet-driven finish. Drink this over the next 5-6 years - not a bad Figeac, but it is surpassed by many other vintages in recent years. Tasted April 2016. Drink 2016-2024. Blackberry, blueberry and plum aromas, with hints of sweet tobacco. Full-bodied, with chewy tannins and a mineral, currant and licorice aftertaste. A little austere, but structured. Dense. Impressive. Best after 2014. Bright ruby-red. Cassis, licorice pastille, graphite and violet on the lively nose. Suave and fine-grained; not a hugely ripe style but elegant and classically dry, with the wine's mint, licorice and herbal cabernet component dominating today. Finishes quite firm and a tad dry, with building tannins.